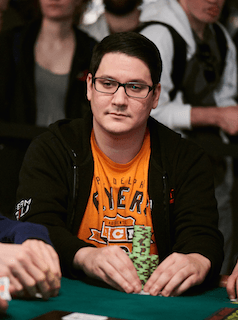 Ryan Leng reviews a key final table hand from his run to a WSOP bracelet last summer. Flatting a raise with A-A? 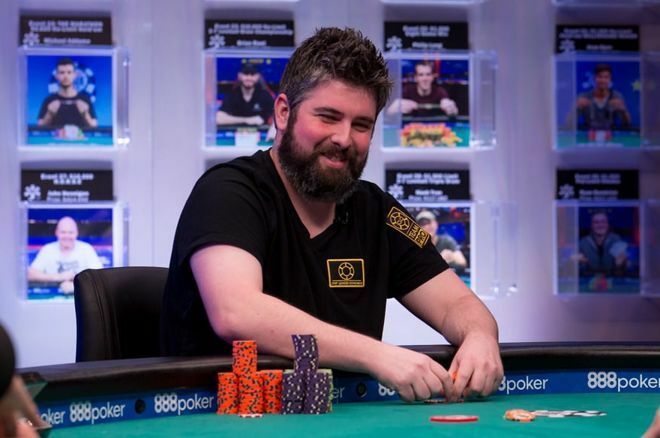 Ryan Leng explains his reasoning for doing just that at a WSOP final table. With eight players left in the 2018 World Series of Poker Event #51: $1,500 No-Limit Hold'em - Bounty this past summer, I played a hand that may have been the catalyst to my first bracelet win. There were a couple of important factors to consider that affected my thought process in this hand. First and foremost, ICM considerations defined my decision-making at this final table. The second greatest factor that played a role in this hand was my understanding of my opponent's perception of me. I think that this is a very undervalued ability in poker, and an area in which I feel that I excel. The combination of the strategy that I was using due to ICM implications and my awareness of my opponent's perceived image of me came together perfectly in one of the most important hands of my poker career thus far. Let's first take a look at the situation we were in from an ICM perspective. I had been hovering between 30-40 big blinds in a very fortunate seat, having the two biggest stacks and my three toughest opponents all seated directly on my right. With eight players remaining, the next player to bust would receive $28,247. Prior to this hand, I was in third position in the counts, with the top three spots all paying more than $120K. That meant my goal was to play a very low variance style and to try to avoid any major confrontations without holding the best of it. The two big stacks on my right were opening a lot of pots. They were very aware of the ICM power they held over me and I was not looking to get into any preflop raising wars that could potentially lead to me busting out in eighth place while starting with a third-place stack. Thus, I decided to cut out most of my three-betting range versus their early position opens, and flat my entire range. I did this to avoid standard flips like AK vs. JJ, and also to take things to later streets. I have a ton of confidence in my postflop play and the further we go in the hand, the more information becomes available and the bigger my edge. I had previously flatted an early-position open from one of the big stacks with ace-king and I wound up going to showdown and winning a small-to-medium sized pot. This information was crucial in the big hand that was about to play out. With the blinds at 30,000/60,000 with a 10,000 ante, Mark Mazza opened from early position to 125,000 off of a stack of about 35 big blinds. Mark was one of the aforementioned players on my right, sandwiched in between the two big stacks, and I expected him to be opening reasonably tight from this position. It folded to me in the hijack and I looked down at . Intuitively you may think that we should always be three-betting here because Mark has a fairly strong opening range. However, I knew that Mark was a very sharp player and he was aware that I did not three-bet ace-king preflop in a similar spot. With Mark being aware of that, as well as being aware of his own perceived image, I thought that my three-bet would look super-nutted and he would be able to lay down some very strong hands. I also knew that Mark knew that I like to make moves postflop, so if he caught a big enough piece of the board we could get stacks in on the flop or turn. So, wrapped inside of the strategy that I had been taking to flat my entire range vs. EP opens, I decided to go ahead and stay balanced by flatting with my . I was also aware there were also multiple reshove-sized stacks behind me that could certainly decide to pile it in over Mark's open and my flat. Everyone else folded, and Mark and I went heads-up to a flop of . Mark continued with a bet of 150,000, and I decided to put in a small raise to 335,000. On this draw-heavy board, I expected Mark to come back over the top if he had a hand like KK, AQ, and maybe KQ-suited. He could expect me to raise some draws and also some pure bluffs, just attacking his continuation bet with a range which is likely also to include a lot of combos of AK. So if he had any of the strong hands previously mentioned, he would likely just have to make his stand there. Fortunately for me, Mark had and he went all in. I don't think he really has much of an option to do anything else with that hand in that spot against me. I quickly called when he piled and the aces held up, vaulting me into the chip lead and eliminating Mark in eighth place. With the lead and position on the both the second- and third-place stacks, I was free to drop my previous strategy and go on the offensive. Because of this new table dynamic, I was able to chip up from seven-handed until the end of the night when I bagged the chip lead four-handed, and eventually I went on to win my first bracelet the following day. Ryan Leng is a professional poker player and coach with Chip Leader Coaching. He has played over 9 million hands of online poker, and has amassed more than $1.2 million in live tournament earnings in just the last three years, including winning one WSOP bracelet and two WSOP Circuit rings. Away from the felt, Leng spends his time with his girlfriend Nikki and their four rescue dogs. You can follow him on twitter @RyanLeng9 and check out his Twitch streams at twitch.tv/ryanlengclc.